If you have been charged with a DUI in Phoenix it is in your best interest to hire an experienced DUI Lawyer to help you fight the DUI charges against you. The penalties alone for a DUI in Phoenix are some of the harshest in the country and finding a job after a DUI conviction can carry a pretty hefty price as well. With the possibility of background checks, answering questions about criminal convictions let alone the embarrassment of poor decision that led to the DUI you may not be able to work in any longer in your chosen field such as a job that requires a CDL (Chauffer’s Drivers License.) In addition, if you apply for a job that involves traveling outside of the United States a felony conviction on your record will only make the possibility of getting that job far more difficult. A DUI conviction in Phoenix carries mandatory jail, mandatory fines, license suspension, and the ignition interlock device. Depending on the blood alcohol concentration and history, jail can range from 1 day to 6 months for misdemeanors and up to 15 years for a felony. With all that being said trying to get a job after a conviction will also limit your opportunities and in some cases for the remainder of your working career. When choosing a DUI Defense Lawyer do your homework by checking on their qualifications. For example, are they listed in the National Advocacy for DUI Defense, are they rated by Martindale-Hubbell and of course are they listed on AVVO? I also encourage you to ask for recommendations from people that you trust, search online and interview several attorneys before making a decision. When life-altering situations such as a DUI conviction occur please remember that they can affect your life far beyond fines and jail time. With that being said before you begin drinking please make arrangements to get home by making plans to hail a taxi, rent a limousine with friends, let Uber shuffle you around or simply designate a driver so that you may avoid a DUI. If of course, you don’t heed the warning, I strongly recommend that you contact an experienced Phoenix DUI Attorney to represent you. Not every attorney understands the complexities of DUI defense law so I again encourage you to check their qualifications thoroughly before asking them to represent you. 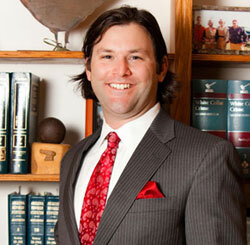 Have questions about the DUI laws in Phoenix? Click here to contact me or call 480-729-1683 for a free consultation.